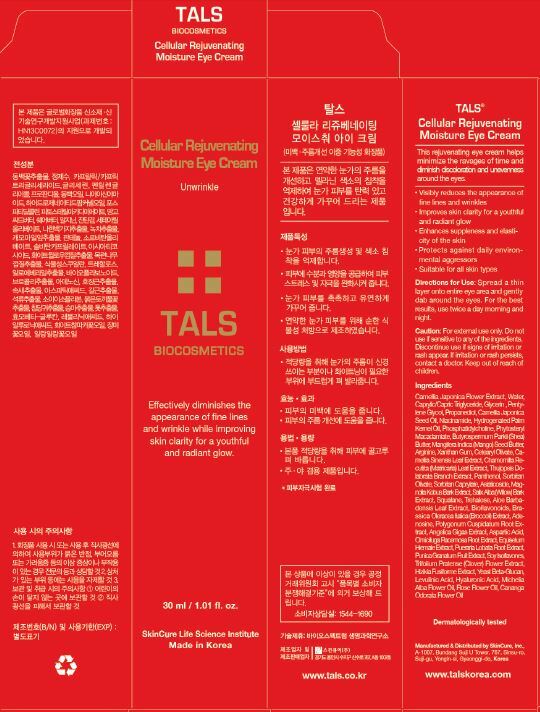 Proprietary Name: Tals Cellular Rejuvenating Moisture Eye What is the Proprietary Name? Tals Cellular Rejuvenating Moisture Eye with NDC 72289-0007 is a a human over the counter drug product labeled by Skincure Inc. The generic name of Tals Cellular Rejuvenating Moisture Eye is glycerin. The product's dosage form is cream and is administered via topical form. Spread a thin layer onto entire eye area and gently dab around the eyes. For the best results, use twice a day morning and night.